Background: my 2 kids have always had a 50/50 mix of wet and dry Science Diet, twice a day, plus “extra” kibble throughout the day and night. 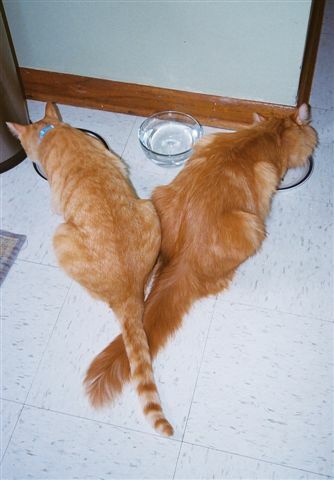 They are indoor-only neutered males with opposite constitutions. 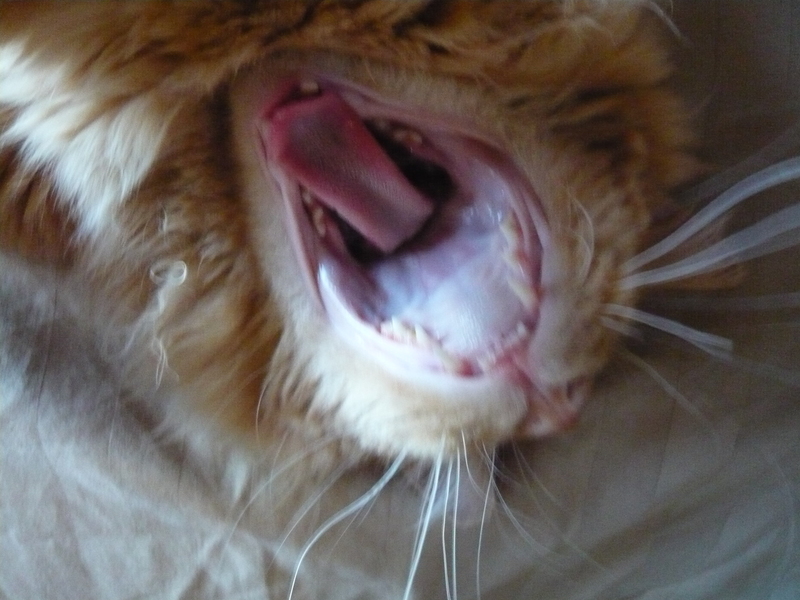 Not being a vet or having any real expertise, I concluded that maybe Simba was “hungry” (begging) all the time – and fat – because he’s not really getting the nutrition he needs. [Alternate theory #1: his food is fine but I’ve conditioned this behavior myself]. After struggling with sleepless nights for 3 years, I immediately decided to take action! no more snacks and midnight feedings. Check out the Cat Resources and you would do the same thing. 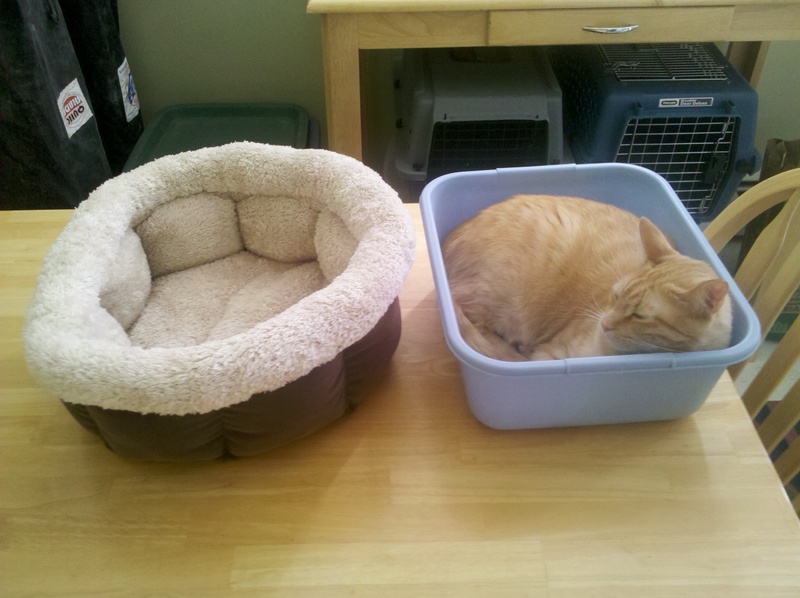 Some cats can adjust to switching of food right away, and some can’t. Since I have piles of S.D. in the house, I decided to mix S.D. 50/50 with some alternate non-grain brands, but increase the proportion of wet to dry right away. I have been successful in not giving in to begging for 5 WHOLE DAYS. (This isn’t easy when they share an office all day with me.) Oddly enough, since I’ve eliminated the 2 a.m. auto feeder, Simba has actually let me sleep till 6 a.m. twice. Huh??? I went to a different store and was told “that can happen with Taste of the Wild.” Plus it has a fair amount of fish and from what I can gather fish should be limited. they have been as spunky as kittens! New Strategy: cut back to 50/50 wet/dry until I get the right foods – THEN gradually increase the wet. Also, as per the pet store sales clerk, continue with 50/50 mix of S.D. to new wet but cut the S.D. dry out completely. Also part of the New Strategy: grow Tigger some actual cat grass in a planter. From what I’ve read (here and other places), I do not have a problem if he needs to eat grass and occasionally barf on my new carpets. Since I don’t allow them outside it’s my responsibility to provide some cat-safe ruffage for the poor guy. Second Brands I’m trying now: Wellness Core, Wellness, and Weruva (wet) and Nutri Source Pure Vita (dry) (concern is yeast as mentioned here). That initial energy boost has dropped but at least Tigger has managed to hold it all in today. Stay tuned for my next Cat Food Review! 4 out of 5 cats prefer cheap old plastic bucket to soft new plush cat bed.